Ice door chute on your Whirlpool fridge dispenser flops around and doesn’t close up right? Well, don’t you fret none ‘cuz the Samurai has The Fix™! The Fix™ is to buy the new ice door chute kit and install it. You have to break off the remaining tab and the bracket in the kit has metal tabs for the pin to go through so the problem wont reoccur. The bracket is held into place with double sided tape. The kit comes with everything you need, including destructions. Just follow the directions and take your time. All good. To learn more about your refrigerator or to order parts, click here. 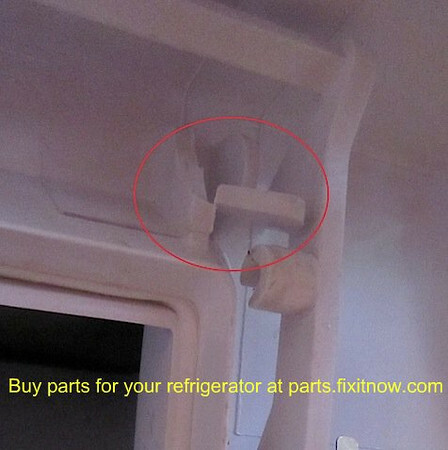 This entry was posted in Refrigerator Repair on September 16, 2010 by Samurai Appliance Repair Man.